Sometimes I have a really clear vision in my head for a mani, and then when I go to implement my plan, everything goes awry. That is exactly what happened here. Count this as my warning: I had high hopes for this, but it’s a big, sloppy mani fail. As per the usual, I’m offering up my failure to your observation/criticism…because science and the triumph of truth. It ain’t always pretty here, and this is one of those cases. 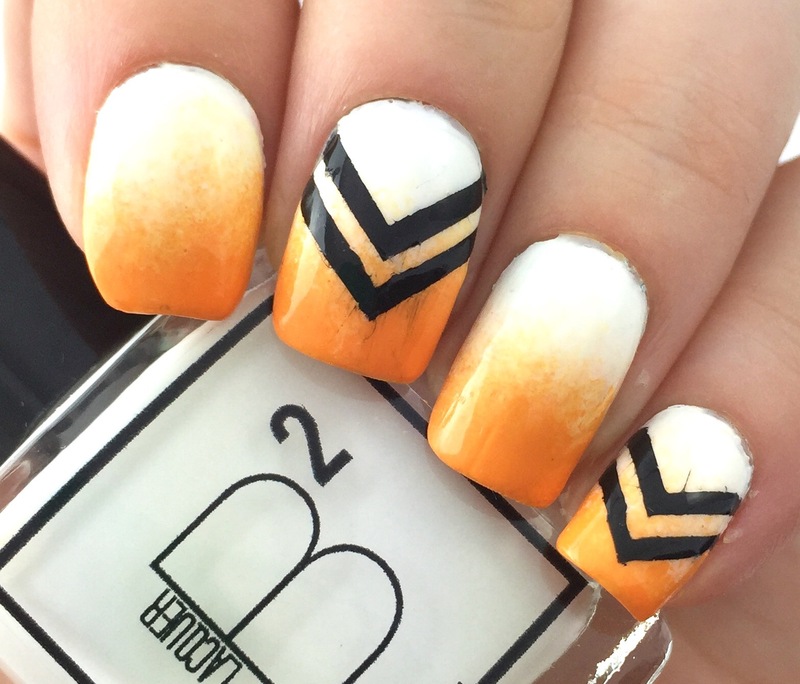 I started off with a Halloween-inspired white-to-orange gradient. For the sake of complete honesty, I was actually aiming for the team colors of the Philadelphia Flyers (although various people also guessed other teams, including the Tennessee Volunteers). This is about where things started to go wrong. The white base (B Squared “That Base”) was a thick mess and refused to be even or opaque after two coats. So I just let it be at that, because I don’t need a thousand layers of white underneath the gradient. Mistake. When I started to sponge on the gradient, the patchiness became really obvious and you could see through to my nail (which I “fixed” by strategically sponging on more polish). Next, the orange (Julep “Parker”) gave my troubles by deciding to be sheer and yellow, but only sometimes. Thus, I sat around and sponged up to five layers in some places and ended up with a rougher gradient. 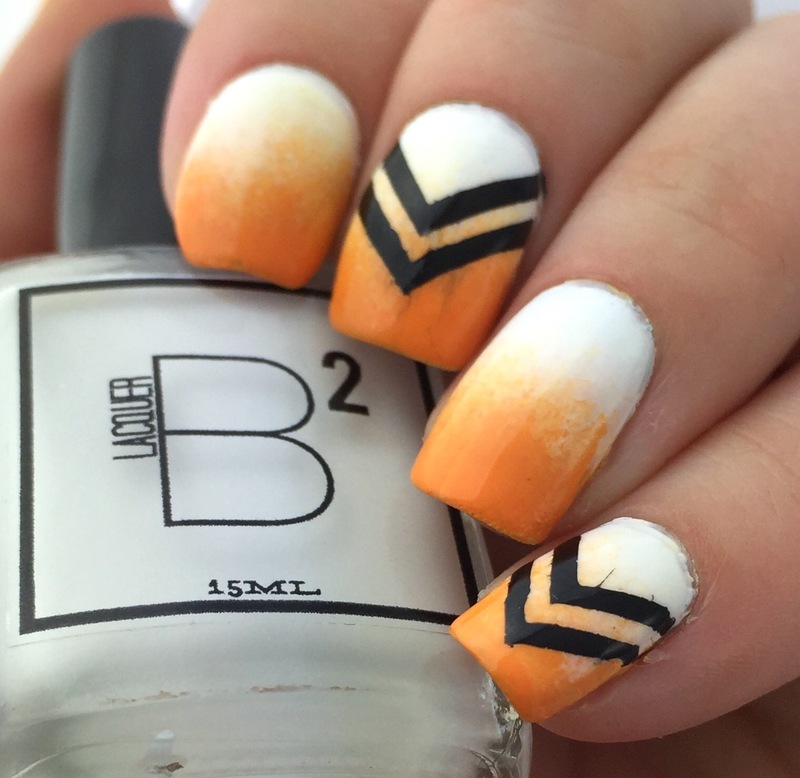 Following my roaring triumph in the gradient department, I thought I could cover it up with some snazzy chevrons. I used KBShimmer’s corner vinyls (which I really like, especially after using them for my plaid nails a few weeks back) and the wrong black polish. Instead of using a black stamping polish, I used AEngland “Camelot,” just is a hair too thin for this task. So, when I pulled off the vinyls, bits of black polish dragged all over. In short, I messed this up from start to finish. Learn from my cautionary tale (spoooooooky ghost noise)! To be fair, this mani looks great at around 7-10 feet away. Unfortunately, I can’t get my own arm at that distance, so I’m stuck seeing all the wonky parts. I think it looks pretty cool, not a fail to me! Haha, I love this post! I have nail art fails all the time since I’m too impatient to use test nails first. I think it looks great even if it isn’t exactly what you had in mind. I love that you post your fails! I have more nail art fails than I do wins! Aw thanks! Generally the deciding factor is “how much time did I spend doing this?” If the answer is “entirely too long,” then I’ll post the fail. I don’t think this is a fail at all. 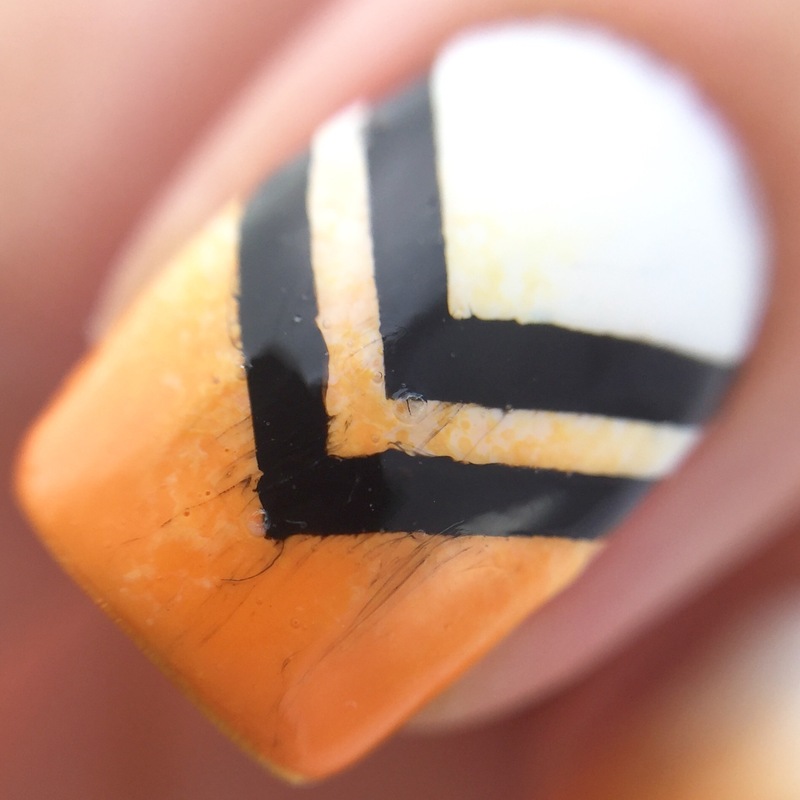 The slight pulling of the black is very Halloween-esque. Ohhhh yeah. I could have played it off as spooky instead of smeary. I like it. But I will give you my standard advice for nail fails: When in doubt, add holo. Oh man. Why didn’t I just holo topcoat that shizz?! Nice job on the gradient. 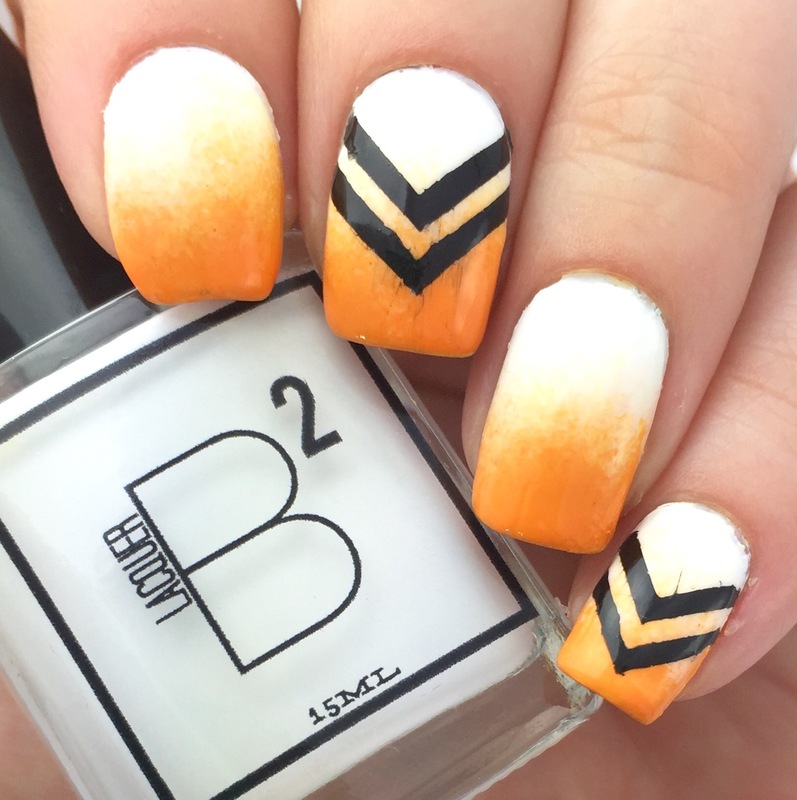 I think this mani looks pretty cool the way it is.